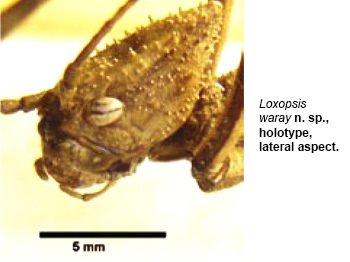 New cone-headed stick insect described, named after the Waray. A new species of cone-headed stick insect from Western Samar has been formally described by Dr. Ireneo L. Lit, Jr. and Mr. Orlando L. Eusebio in an article published by Germany-based journal ARTHROPODA Generalis this October 2015. Lit and Eusebio are Curator and staff, respectively of the UPLB Museum of Natural History Entomology Section. 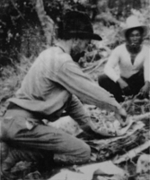 Dr. Lit is also a Professor at the Institute of Biological Sciences of the University of the Philippines Los Banos. 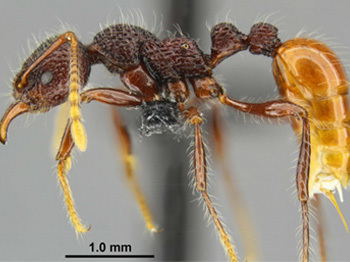 According to Lit and Eusebio, the new species Loxopsis waray is the third Philippine species of Loxopsis; the first two came from Mindanao and were described in 2012 by Joachim Bresseel of the Royal Belgian Institute of Natural Sciences. 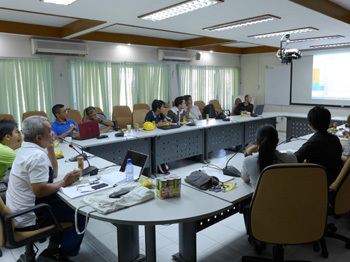 UPLB, through the UPLB Museum of Natural History and the Office of the Vice-Chancellor for Research and Extension hosted the meeting of the Philippine Red List Committee’s Technical Working Sub-group on Insects last 17 September at the OVCRE Annex Building, UPLB, College, Laguna. The Philippine Red List Committee is a body formed by the Department of Environment and Natural Resources to assess and determine the conservation status of Philippine wildlife and plants. 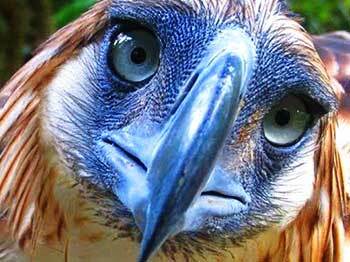 The UPLB Museum of Natural History, represented by its management, curators and staff, is saddened and disheartened by the killing of Pamana, one of few remaining Great Philippine Eagles in the wild. The murder of one of the world’s greatest raptors, once described by aviator Charles Lindbergh as the Earth’s noblest flier, is a senseless act of unimaginative proportions. Pamana died at a young age of 3 years of a bullet that went through its breast. 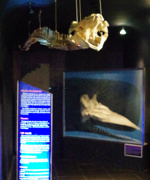 Pamana was female, essential for the gene pool of a beleaguered, critically-endangered species. As an essential top canopy predator, Pamana could have been in the future an important part of the ecological health of the Mt. Hamiguitan Mountain Range. 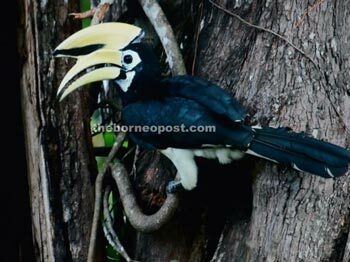 MIRI, SARAWAK: The inaugural National Hornbill Conference 2015 has been hailed as a viable platform for those undertaking researches and conservation efforts dedicated on hornbills. The three-day event, which concluded here on Thursday, hosted 23 speakers and 73 other delegates from around the world. Renowned expert Prof Emeritus Dr Pillai Poonswad from Hornbill Research Foundation under Faculty of Science of Mahidol University Bangkok, was the key speaker. He was aided by conference’s co-organising chairmen Prof Andrew Alek Tuen from Institute of Biodiversity and Environmental Conservation of Universiti Malaysia Sarawak (Unimas); Sarawak Forestry Corporation (SFC) deputy general manager (protected areas and biodiversity cooperation) Oswald Braken Tisen; director and professor of zoology at University of the Philippines, Dr Juan Carlos T Gonzalez; and international coordinator of Hornbill Research Foundation at Mahido University in Thailand, Ng Bee Choo. Two new species of soil mites belonging to a new subgenus of the oribatid family Parakalummidae were discovered in the Philippines by Sergey V. Ermilov of Tyumen State University, Russia, and Leonila Corpuz-Raros of UPLB Museum of Natural History. 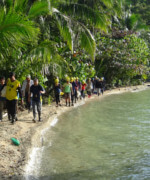 Their study is part of global effort to document the earth’s biodiversity towards conservation and enhancement of the remaining biotic resources. 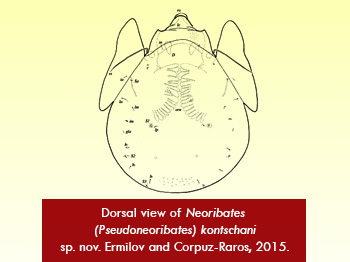 They published the article “A new subgenus and two new species of oribatid mites of the genus Neoribates (Acari, Oribatida, Parakalummidae) from the Philippines” under Zootaxa, Volume 3956, No 2.